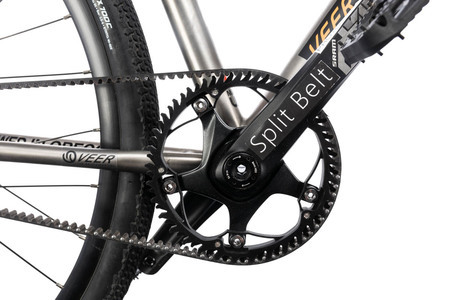 The Split Belt Drive is the first commercial belt drive that can be split and rejoined through the frame, making split frames unnecessary. Reinforced with carbon fiber, the belts are custom cut to length to fit any bike. 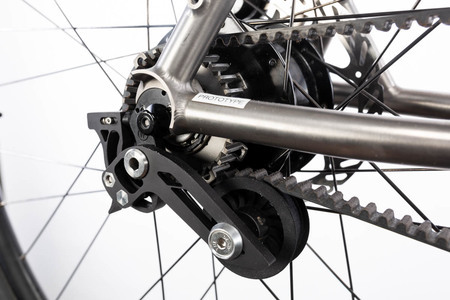 The spring action, quick release belt tensioner has an idler wheel that can be positioned anywhere in 3-dimensional space for bikes with vertical dropouts. The combination of our optimized tooth profile and tensioner allows the system to shed mud and dirt efficiently while running at lower tension than most belt systems. With multiple points of adjustability, installation and alignment is easy. 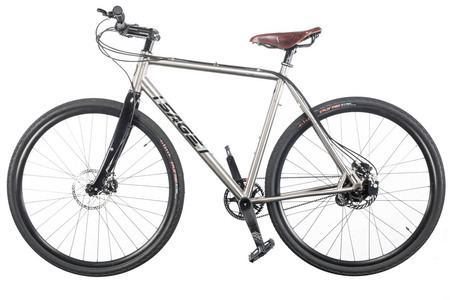 For the first time, belt drives are available for any bike. Diese Innovation eines offenen Riemens, der auch noch nachrüstbar ist, bringt einen echten Fortschritt, wenn sich die Funktionsweise bewährt. Der Nachteil, dass am Rahmen Veränderungen vorgenommen werden müssen, um den Riemen zu wechseln, ist damit nicht mehr gegeben, während die bekannten Vorteile des Riemenantriebs erhalten bleiben.